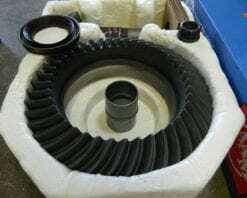 This is a genuine AAM ring and pinion set in a 3:73 ratio for the 8.25IFS 4X4 front differential found in 1988-2014 1/2 ton GM trucks and SUV’s. 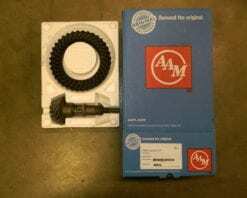 This is a genuine AAM ring gear and pinion set in a 3:27 ratio that fits 2010 and newer Chevrolet Camaro’s with the 8.6 IRS differential. 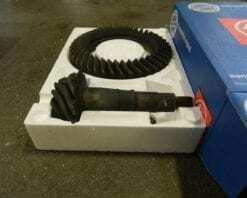 These were usually found in the Camaro’s with the V8 engines. 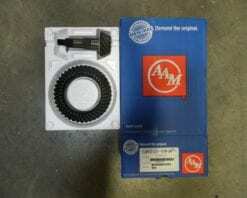 This is a genuine AAM ring gear and pinion set in a 3:45 ratio that fits 2010 and newer Chevrolet Camaro’s with the 8.6 IRS differential. 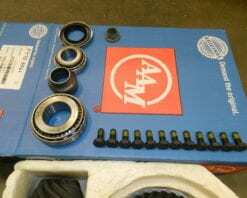 These were usually found in the Camaro’s with the V8 engines. 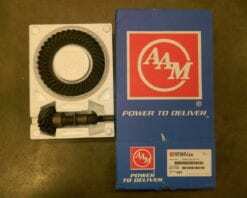 This is a genuine AAM ring gear and pinion set in a 3:91 ratio that fits 2010 and newer Chevrolet Camaro’s with the 8.6 IRS differential. 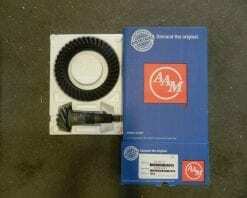 These were usually found in the Camaro’s with the V8 engines. 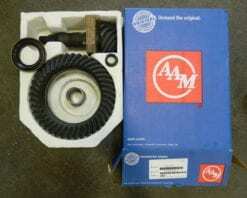 This is a genuine AAM gearset that includes pinion bearings TRD101004 (inner) and STD3776-2 (outer), pinion seal, nut, and crush sleeve. These kits are Made in U.S.A. 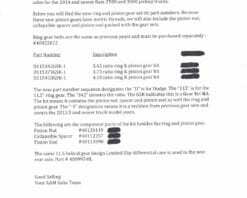 These fit 2011 and newer Ford trucks, vans, and SUVs. 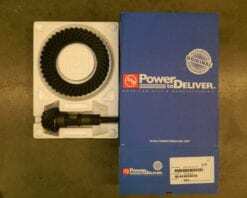 This is a genuine AAM ring and pinion in a 3:42 ratio that fits 2014 and newer Dodge Ram 2500 and 3500 series trucks with the 9.25 front differential and 12 bolts on the cover as opposed to the 14 bolt cover on earlier models. 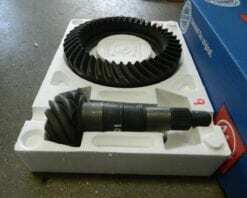 This is a genuine AAM ring and pinion in a 3:73 ratio that fits 2014 and newer Dodge Ram 2500 and 3500 series trucks with the 9.25 front differential and 12 bolts on the cover as opposed to the 14 bolt cover on earlier models. 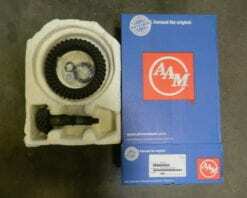 This is a genuine AAM ring and pinion in a 4:10 ratio that fits 2014 and newer Dodge Ram 2500 and 3500 series trucks with the 9.25 front differential and 12 bolts on the cover as opposed to the 14 bolt cover on earlier models. 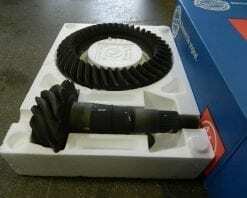 This is a genuine AAM ring and pinion in a 4:44 ratio that fits 2014 and newer Dodge Ram 2500 and 3500 series trucks with the 9.25 front differential and 12 bolts on the cover as opposed to the 14 bolt cover on earlier models. 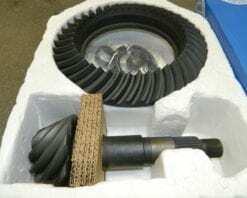 This is a genuine AAM ring and pinion in a 4:56 ratio that fits 2014 and newer Dodge Ram 2500 and 3500 series trucks with the 9.25 front differential and 12 bolts on the cover as opposed to the 14 bolt cover on earlier models. 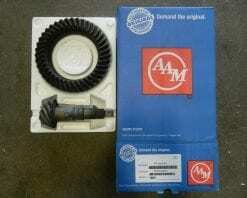 This is a genuine AAM gear set in a 3:08 ratio for the 9.76 rear differential found in 2014+ GM 1/2 ton trucks with the 5.3 engine. The differential cover in these trucks has 12 bolts. 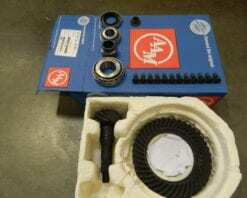 This gear set includes the pinion seal, nut, and crush sleeve.